Passionatemae | Food has a way of bringing people together: It is officially Autumn! I have been so busy with Chinese New Year! I had a great one, it has been a while since I last celebrated CNY with the family. Then came Valentines day..that's come and gone! Just so quick! We did something different this year. My husband and I went on our first boat ride! 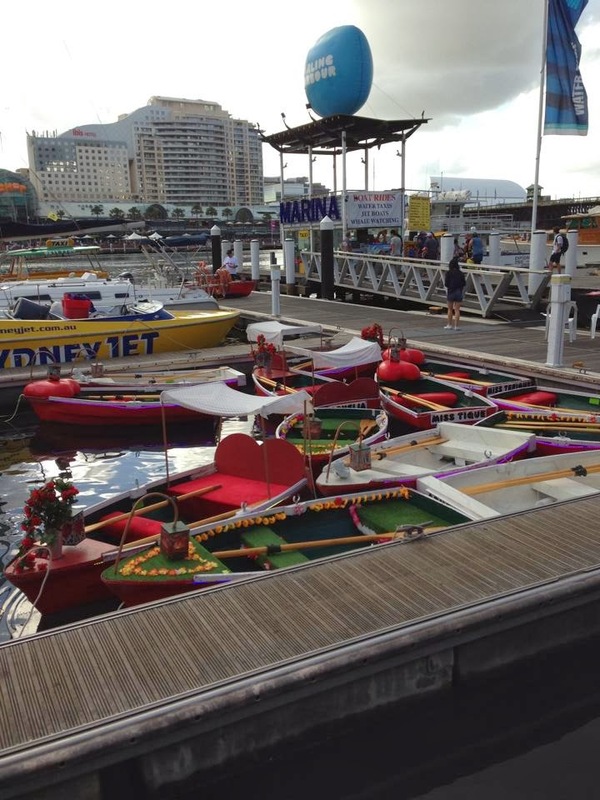 We hired a rowing boat...it's all part of the "Row your way to Romance" in Darling Harbour! It was definitely fun..we got to enjoy each other's company over the waters! It is nice to experience something new at least once! But I can tell you, rowing a boat isn't as easy as we thought it was! It was hard, had to coordinate both left and right! Bam! That's over and it's March now! Seriously, we are in the 3rd month since 2014! We are so busy now as well, packing, yeps, we are moving! Sorry for all the random ramblings! Cake, Bake and Sweets Show Tickets Giveaway! !